This inspiration was funded by donations and created to celebrate the thirty-fifth year of Tarrant County College, Ft. W. Texas. It is a low profile interactive installation: granite squares on hard packed earth, serves as a chessboard on life size scale. 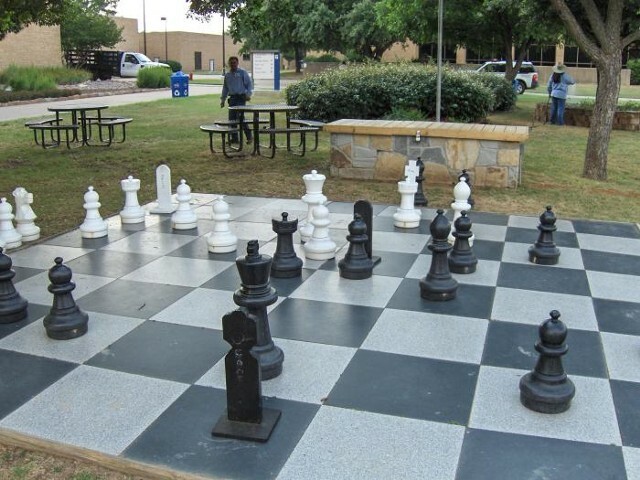 A garden focal point of fun and strategy with chess pieces, otherwise a meeting place, to dance or act.